Happy Valentine’s day to all! Day 3 passed by with a flash we can’t believe that Strictly Sail Miami is almost over. 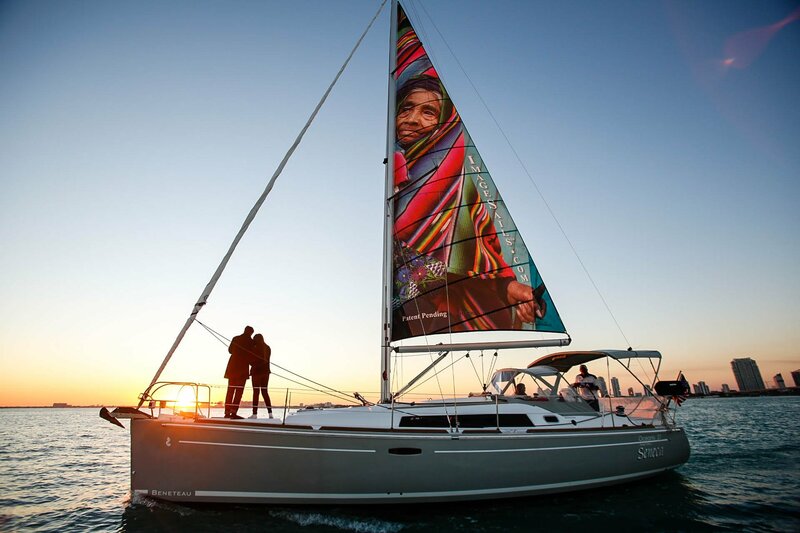 It’s been an amazing showing for ImageSails™; we couldn’t have hoped for a better reception! Today being Valentine’s Day, love was in the air and on the sea, so we thought we’d share with you a Valentine’s- inspired photo from this weekend! Did you know that a portion of all proceeds benefit Daniel’s organization, Doctors for Santa Maria de Jesus? Come see us at Dock B-20 at the Miami Boat Show this weekend to speak to our team and learn more! As always, keep up-to-date with ImageSails™ by following our Twitter, Instagram and Facebook!